When it comes to giving your smile a dramatic new makeover in the shortest amount of time, look no further than dental veneers. Veneers are a highly-effective and popular cosmetic procedure to correct the appearance of teeth which are crooked, chipped, misshaped, or discoloured. They are also great for covering undesired gaps between teeth. At Dental Health Care Associates we use Emax veneers, as they provide superior results over standard veneers. Not only are Emax veneers longer-lasting due to phenomenal bond strength, but their aesthetic qualities are also second-to-none, providing our patients with the best possible outcome. Emax Veneers are thin-layered dental veneers made from Lithium Disilicate Glass Ceramic, a material which offers more strength and durability than ordinary veneers. Because this type of veneer is much thinner than other varieties, we are able to remove less of your tooth enamel in preparation for bonding. During your initial consultation, your dentist will examine your oral health before discussing the specific results you want, including the desired veneer colour. The teeth receiving veneers are then carefully prepared and this process involves the removal of minimal tooth enamel. If you have sensitive teeth, a local anaesthetic may be administered for your comfort. Once prepared, an impression of your teeth is created. This is then used as a template by our local dental laboratory where your porcelain veneers are crafted with utmost care and precision. This ensures perfect alignment with your gum-line, creating a natural-looking smile you’ll love. It will take approximately 2-3 weeks to receive your custom-made, permanent veneers. During this time however, you may be fitted with temporary veneers to further prevent discomfort or sensitivity. Once your Emax veneers are back from the lab, we bond your final restorations in place, finalising your gorgeous new smile makeover. Although the veneers we use are extremely strong and durable, you must still maintain correct oral health and hygiene methods to ensure they remain in beautiful condition. It is advised that you brush and floss daily, as well as attend your regular, bi-annual oral hygiene appointments for a check-up and clean. 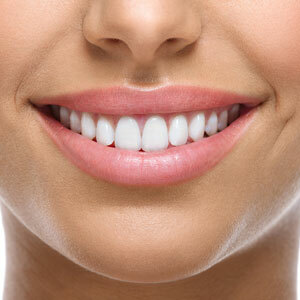 Are you interested in transforming your smile with veneers? Schedule a consultation with our team by calling 03 9650 2909 today!